The seven new hires, including technical and graphic designers, will report to design director David Crease. 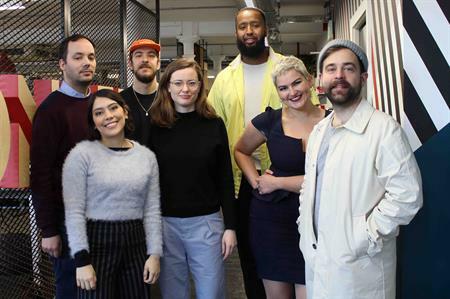 Wonder London has hired seven new staff to bolster its creative team. The hires include Quentin Segard as lead 3D designer, who has previously worked at Imagination, Universal Design Studio, Jack Morton Worldwide and George P Johnson. Tom Maxwell joins as 2D creative lead. He began freelancing for Wonder after leaving his permanent position in Imagination in 2017. Sarina Da Costa Gomez has been appointed as senior technical designer. Having previously worked as a senior production designer at MCCGLC, her remit includes helping the team look at design challenges in smart and innovative ways. Other hires include Ahmed Abokor, a new graphic designer on the team, who spent the last five years at Innovision; Jimena Cieza De Leon as junior 3D technical designer, alongside Joel Atkinson, 3D designer, who previously worked at George P Johnson. Crease said: "We wanted to grow our creative team in preparation for the year ahead, so we're delighted to have hired such amazing talent, with a great mix of experience and skill sets – ranging from award-winning creative designers, technical designers and even virtual reality enthusiasts." Chris Helliwell, head of creative at Wonder London, adds: "The new hires bring with them a breath of skills, experience and a tremendous amount of energy. The atmosphere in the studio is amazing, especially after having won four new clients within the first two months of 2019."